Wooden wall clock with Arabic numeral display. 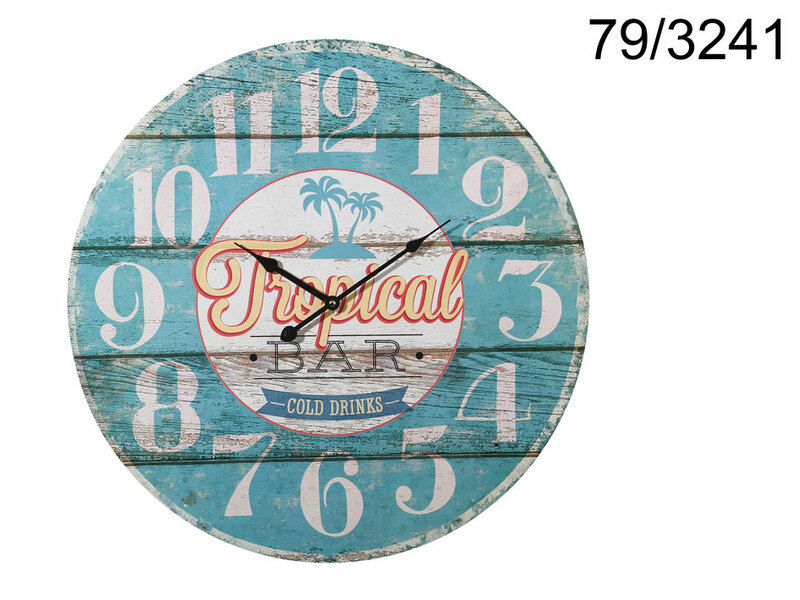 The clock face imitates old, scratched sign of a Tropical Bar. Diameter: 58 cm. Battery-operated (for 1 AA battery). Stylish interior design item for home, office or a hotel. Size: 58 x 58 x 6 cm.